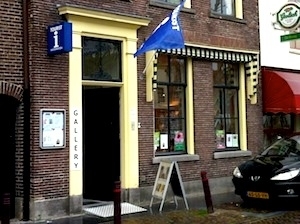 The Tourist Information Point Oudewater (TIP) is since 2012 the continuation of the VVV tourist information services. TIP is housed in a splendid 17th century dwelling right in the centre of Oudewater. It is the perfect starting point to discover Oudewater. A volunteer team is at your service to tell you about everything Oudewater has on offer. TIP Oudewater offers various cultural and recreational arrangements, like a city tour or a canal cruise (‘Grachtenvaert’). The shop has ample choice in walking and cycling trips, road and water maps, and city plans. The shop has a wide range in souvenir articles on Oudewater’s rich history. A nice idea for a present! TIP also has gift cheques, like the regional dinner cheque, the Oudewater experience cheque and the national cinema cheque. All cheques are available in various values.